The TESOL Italy Formia Local Group was constituted in February 2013. Let us know if you are interested in joining this local group. 1 – An afternoon seminar entitled Motivating Teenagers: Using Webquests for English Language Learning led by Donatella Fitzgerald – O.U.P. and presentation of the 5th edition of the creative writing competition entitled Save the Earth ! led by Maria Grazia Maglione and Maria Antonietta Ortenzi (14th Jan). 1 – An afternoon seminar entitled Geometric Literature led by Esterina La Torre. View Announcement here. 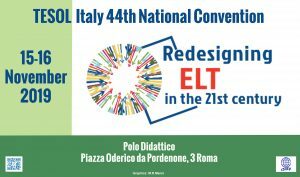 2 – An afternoon seminar entitled CLILOVE: Why Students and Teachers Like CLIL. Sharing Ideas and Experiences led by M. A. Ortenzi and M.G. Maglione. Printable Flyer here.